Your crown chakra, the highest chakra of the seven major chakras within your physical body is your crown chakra. The crown chakra is connected to your higher consciousness, the eternal part of you that is beyond ego. In other words, your true self. What I like about this chakra is that is represents true understanding of Oneness – what each of us instinctively seeks. Located at the top of the head or just above the head, the crown chakra is often pictured as a 1,000 petaled lotus flower opening to allow full spiritual awakening. Opening this chakra is believed to be the last step to enlightenment. Keywords associated with it include pure consciousness and transcendence. Developing your crown chakra causes you to become more and more aware of consciousness itself, which in turn brings peace and harmony to your life. What ultimately begins to happen is that the illusion of separateness, of separateness from God, breaks down. What you are left with is known as unity-consciousness – a state of being where everything is experienced as One. As the center for devotion, trust, happiness, positivity, and inspiration, the more in tune you are with your seventh chakra, the more harmonious you will experience life. When this chakra is blocked, it can manifest in the form of constant headaches, lack of purpose, excess worry, nightmares, disconnection from a previously felt higher power, and depression. You might experience fatigue, mental fog, boredom, and frustration. Greediness is second nature, as is materialism, elitism, entitlement, and loneliness. You might feel angry at God and even abandoned. A person with an open and balanced crown chakra has deep empathy for others as well as a deep connection to the Divine. You are aware of your Divine purpose, your reason for incarnating here in this body in the first place. You live with great clarity and meaning and you feel unconditional love for life – which you easily share and express. Prayer and mindfulness are second nature, spiritual insight comes easily, and you always have a sense that you are being watched over. You are grateful for this universal love and the gratitude radiates from within. It can be difficult for many to balance the crown because it means releasing attachment to the ego. It’s not that you are ego-less, it’s that you no longer identify with it. And because it’s the egos nature to stay in control, this can be a very difficult step for people. Those who are able to do it are spiritual masters and enlightened beings. Though the crown chakra is at the top of your head and is focused toward light and spirit, you are still an incarnate body who must keep its roots connected to Mother Earth. This is the reason that all seven of the major chakras are connected, from the root to the crown, creating one energetic system that connects us to both the material and spiritual realms. 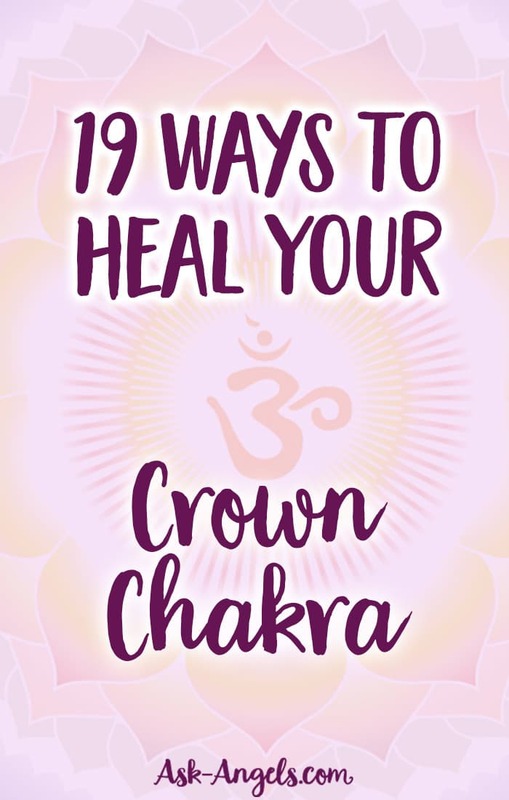 Here are 19 ways to bring crown chakra healing into your life now. Meditate by imagining a golden light surrounding the crown of your head and a little above. Feel this light recharge your physical and spiritual bodies. Open yourself to the experience of connection. Listen to inspiring music that causes you to feel uplifted and positive. Look for ways to practice selfless service. Helping others is a perfect way to feel compassion and Oneness with humanity. Remember that all the great spiritual masters practiced serving others. Learn to be aware of ego flare-ups. Try to identify, in the moment its happening, when you are reacting from a place of ego, versus a place of understanding and unity. Watch the sunset regularly… Outdoors if you can, while stepping back in awe and reverence in the moment. Use the mantra ‘Om,’ during meditations. Sit in silence for 5-10 minutes each day. It does not need to be part of your formal meditation practice, just put away your devices and sit, observing what comes up and any discomfort you might feel. Practice prayer. It doesn’t have to be a formal or unnatural process. Feel free to find a form of prayer that speaks to you. Casual conversation with the Divine, daily intentions in the morning, reciting well known prayers or mantras are all valid. This is a way to let your inner voice guide you. Pay attention to what inspires you and try to incorporate something inspiring into each day. Offer up a current problem to the universe. Trust that help will come. If you live near mountains, hike or drive to a spot where you can look out over a grand vista. Feel the largeness and beauty of that which is a part of you. Find an object in nature that you feel a connection with. Practice sitting with it and connecting your two energies. Find an outlet like painting or drawing, that stimulates your visualization process. Use essential oils like lotus, rose, jasmine, lavender, myrrh, frankincense, and sandalwood. Use them in an infuser in your home or office space. Spend time in light, open spaces, both inside and outside. Keep a dream journal beside your bed and record your dreams, even just fragments, each morning before you put your feet to the floor. Find a dream analysis tool or resource to help you identify your personal symbols and meanings within your dreams. Practice deep breathing by visualizing your breath going directly to your crown. Imagine both violet light there as well as healing energy sweeping out blockages and bringing in Divine healing. Use crystals like celestite, obsidian, clear quartz, moldavite, amethyst, or blue sapphire. You can wear them as jewelry, use them in your home or work space, or keep them near you during meditation. To really progress on your spiritual or ascension path it's essential to unite your chakras in Divine light and balance your entire energy body. 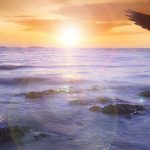 Access an angel meditation to guide you through this process here! Learn about the entire 12 Chakra System. Learn to Cleanse Your Chakras. Discover the top essential oils to heal and balance each chakra. Or tap into help from Archangel Metatron to heal your chakras.